While 2018 may be a couple days in rearview mirror, we wanted to reflect with a By-The-Numbers-style year in review! Janet Lightner with the Irish Red can! We’ve got a new beer in cans at the brewery, except this beer isn’t new at all. 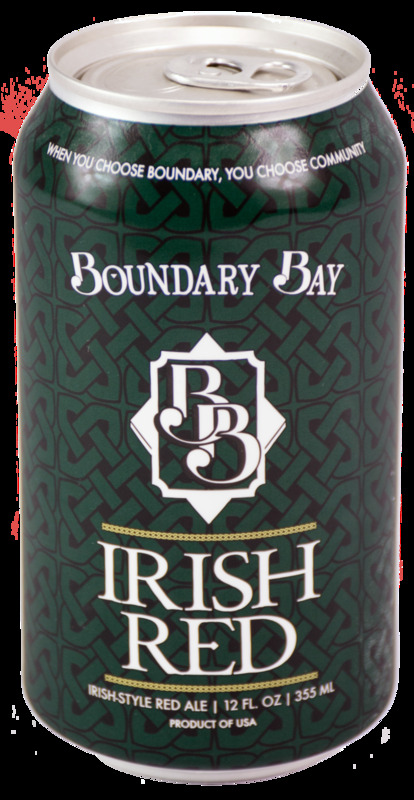 Irish Red, the official beer brewed for the Bellingham St. Patrick’s Day Parade, is now on shelves in bold, celtic emerald green cans. It seems the first thing people look for when buying beer is an interesting can design or label. It’s supposed to tell a story and sell you into wanting to buy their beer. I enjoy looking at can designs and the artwork that decorates them, sometimes subtle and other times not so much, but I feel you can tell a lot about a beer from its can. The Irish Red can is humble in design, yet it has roots planted in the Bellingham community since 2009 that can be seen in the little acute details. 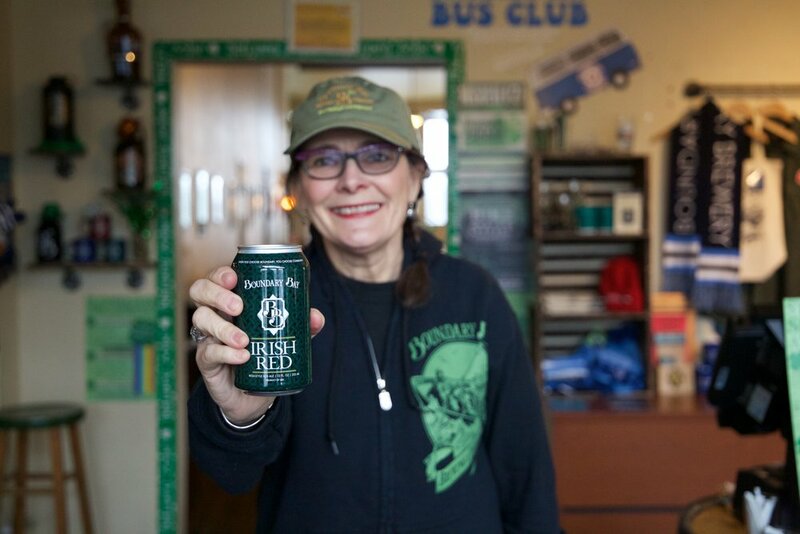 I recently learned the history behind the Irish Red Ale from the General Manager and founder of the Bellingham St. Patrick’s Day Parade, Janet Lightner. 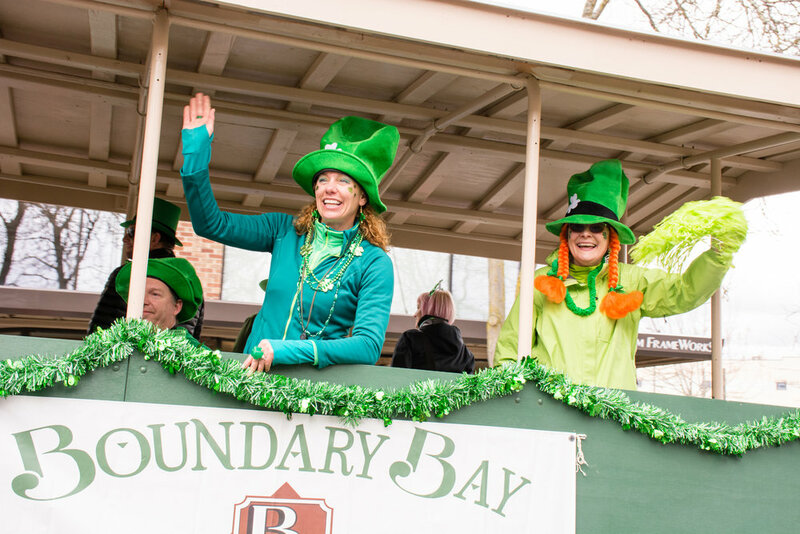 Join Boundary Bay in the St. Patrick's Day Parade, Saturday, March 17, 2018. Just wear green!!! The St. Patrick’s Day Parade is an annual non-profit community-wide event dedicated to honor local public safety personnel. The Irish Red Ale is dedicated to the the parade as well as the protectors of the community and the public safety officials whose job is to keep the community secure everyday, and in doing so putting their lives in danger. November 29, 2009, four Lakewood police officers were gunned down in a coffee shop in Washington. In the wake of this tragic event and others, it just made sense to dedicate this beer and parade to honor our public safety officials, Janet said. To name a few, this broad spectrum of people includes policemen, firefighters, coast guards and in the wake of recent tragic events, teachers as well, but the list goes on and on. The Irish Red is dedicated to all the people who have devoted their careers to keeping the community wholesome, yet for them it’s just another day in the life. Every time you cheers an Irish Red with your friend, partner, mom, sister or the stranger sitting next to you at the bar, think of it is a silent thank you to all of those who have risked their lives to make the world a safer place to live in. As we cheers to 22 years of business, we always look forward to what the next year brings, but also never forget what the past year brought.